Today we continue the season of Advent to prepare our hearts for Christmas. In the Advent season, we keep in mind both “advents,” both “visits” of Christ, the first in Bethlehem and the second yet to come. Because Christ has already come once, the white Christ candle will remain lit the entire Advent season, and last Sunday we lit the Candle of Hope. Our Advent theme this year is “The Manger’s Missional Mandate.” Jesus Christ, the eternal Son of God, came from Heaven to Earth on a mission to save the world. At the beginning of His mission, He took on flesh, was born of the Virgin Mary, and was laid in a manger. 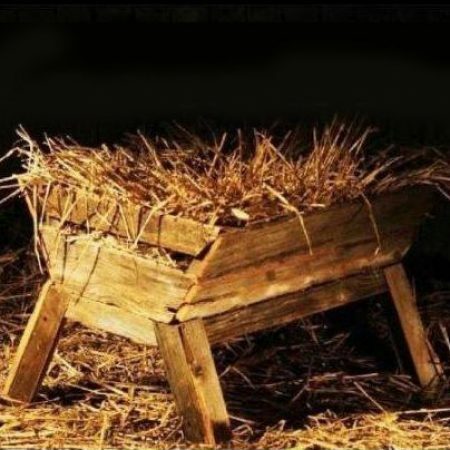 Every Christmas, the manger is a reminder of the Mission of God, which will not be finished until Christ comes again. Today we light the CANDLE OF PEACE. It was a terrible, sorrowful day filled with angst the day Jesus was crucified and buried, but just as He had promised, three days later Jesus was resurrected from the dead. That Sunday morning, the ladies found Jesus’ empty tomb, and Mary Magdalene even saw and spoke to the resurrected Jesus, but later that evening Jesus appeared to all the disciples. His first word to them was “peace,” Peace be with you. He wanted to quiet their anxious souls. But before Jesus left them that day, He said again, “Peace be with you” and followed that up by giving them and us a mission. He sent His followers out into the world to take the peace that He has given us and to share that peace with all the world through the Gospel. You see, the Gospel of Jesus Christ is the Gospel of Peace. Every time you and I share the good news of Jesus, we are offering peace to them: peace with God and peace with mankind.